Natural, organic materials are being used more and more for home decorating these days and it’s easy to see why. Being surrounded by nature brings us a feeling of peace and serenity and sometimes, the most beautiful home décor ideas come from a love of the great outdoors. Bringing these natural materials inside the home is an easy way to create a nature-inspired atmosphere within your living space. Whether you are decorating your outdoor area or just want to add natural elements to a specific room of your home, materials such as sticks and twigs are a cheap and easy way to accomplish this trendy look. There are truly so many projects you can create for your home using these materials to make things like frames, ornaments, wreaths, wall art, birdhouses and more. If you’re looking for supplies for an easy nature-inspired DIY project, you might find some wonderful materials right in your own backyard. Twigs and sticks are things you can collect easily from home and they add the perfect natural element to your décor. If you don’t have the opportunity to collect your materials outdoors, head to your local craft store and stock up on artificial sticks and twigs for your next project. Here are a few ideas and inspirations to bring those natural elements to life. There’s something so warm and cozy about decorating with tiny wooded branches. This little framed nature scene is a great way to bring nature indoors and adds a touch of rustic flavor no matter what your decorating style is. You only need a few supplies for this simple project, which makes it that much more intriguing. Your front door is the first thing your guests see when they come to your home. Wreaths are a great way to add curb appeal with very little effort. If you’re looking for a budget-savvy project for your home, this twig wreath might be the perfect weekend craft for you. 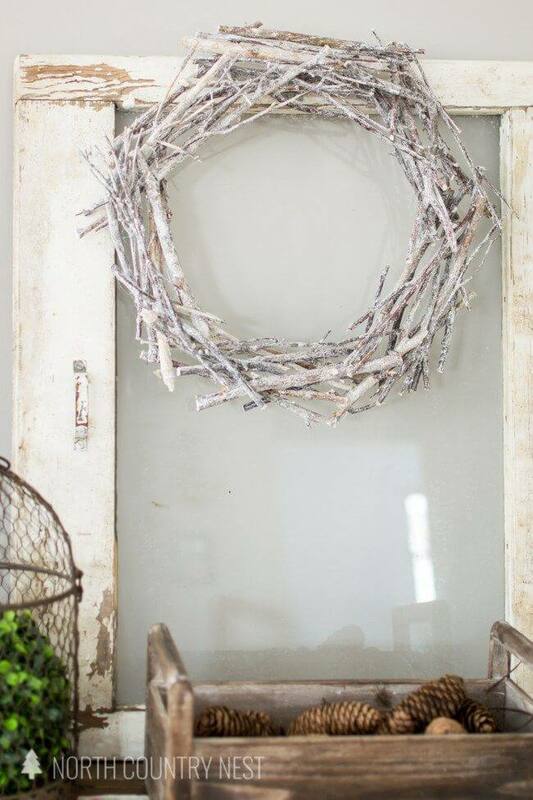 This rustic twig wreath gives us all of the farmhouse feels. The unique square shape really makes a statement and the pop of feminine flair with the flowers and burlap ties it all together quite well. This wreath design is also very versatile since you can easily swap out the flowers with other seasonal embellishments. Wooden ladders are the latest interior design trend. If you have a few nice and sturdy branches laying around outside, put them to good use by creating a wooden ladder you can display basically anywhere. 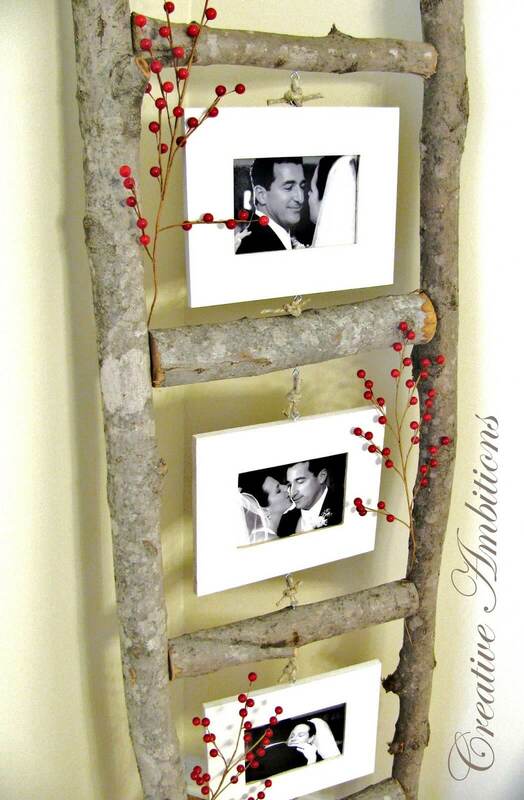 There are so many beautiful looks you can create with a wooden ladder. 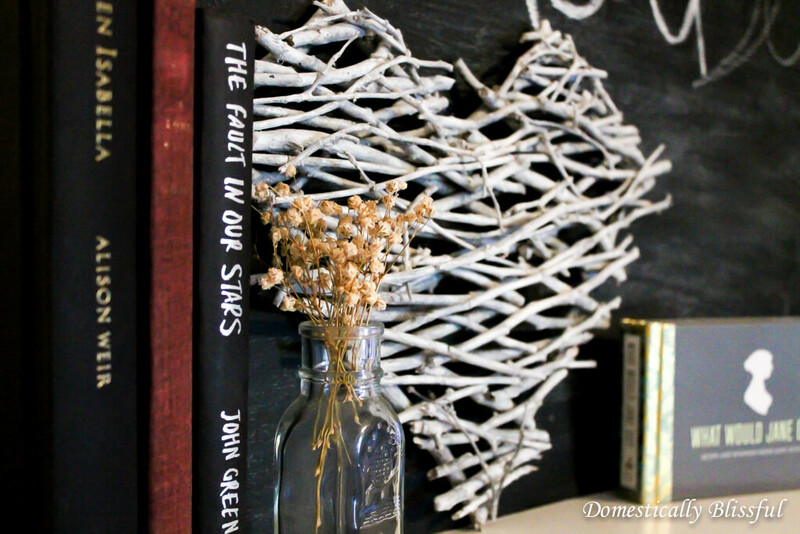 Use it as a photo display, hang blankets, string lights or even leave it as is for a more earthy feel. Adding natural elements to your home can make nearly any space instantly cozier. 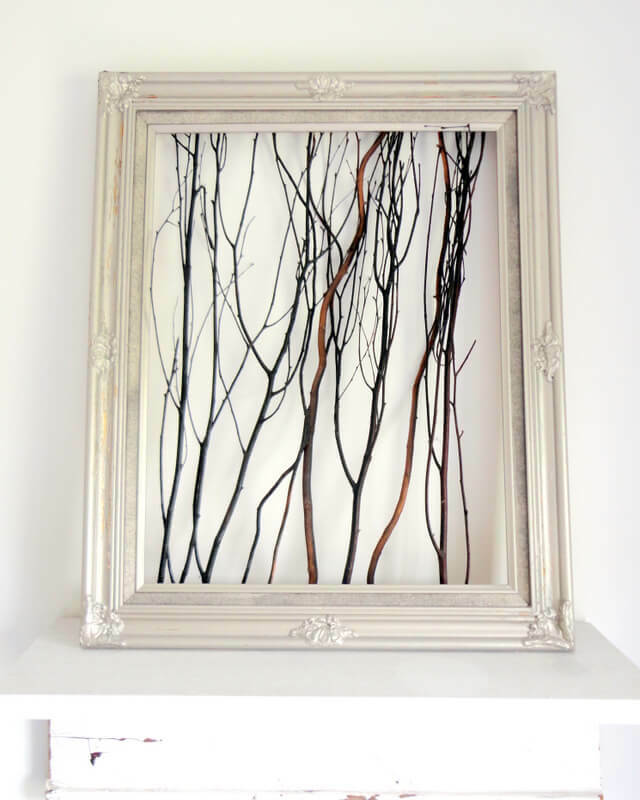 By tying a few twigs together, you can easily create a photo frame that looks both expensive and impressive. 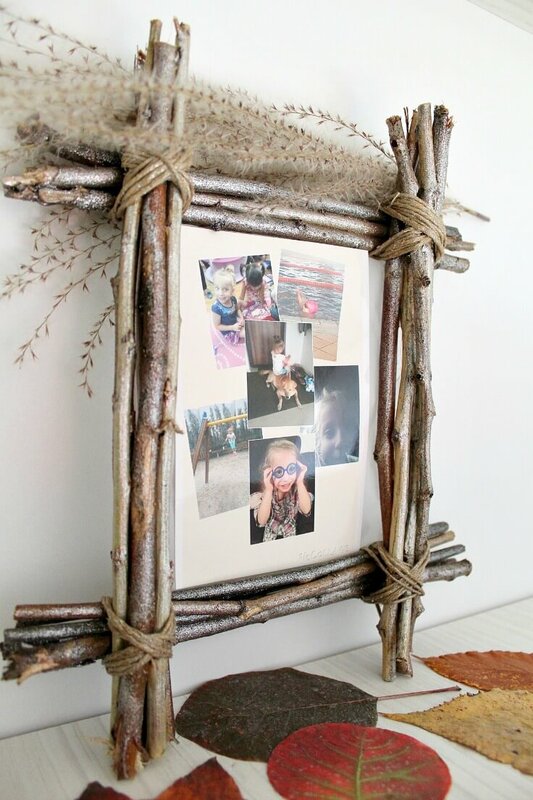 Display your rustic frame on the wall, a mantle or display it on a shelf. These also would make really great (and inexpensive) gifts. Monograms have been around for so many years, but they are suddenly becoming a popular and stylish way to decorate your home. It’s a decorative feature that adds personality and uniqueness. 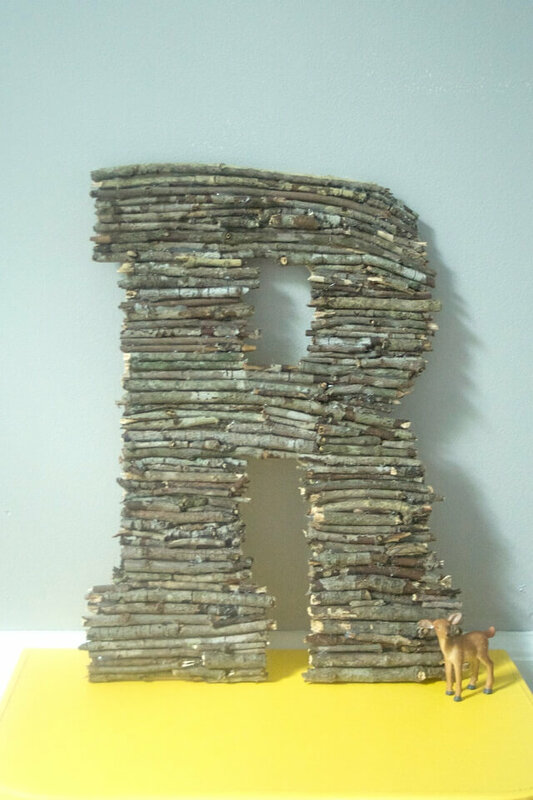 Creating your own monogram using twigs is a brilliant way to bring in those outdoor elements and add a touch of nature to your home. If you find yourself in your yard collecting sticks, consider setting a few aside for your next rainy day crafting session. 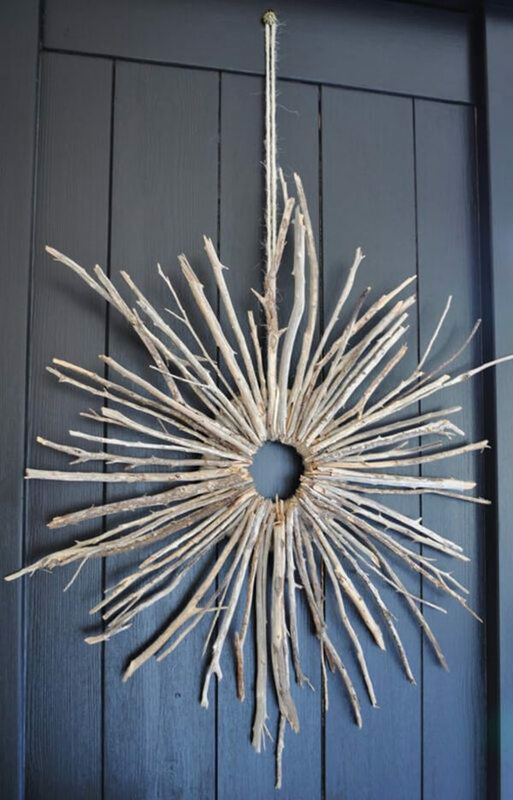 This rustic wreath made from sticks really makes a statement while also creating an earthy vibe to your home. Hang your wreath up with a string or display it inside an old frame for a more vintage look. There’s something so satisfying watching objects move and sway in a hanging mobile. It’s calming, pretty to look at and very easy to make yourself. 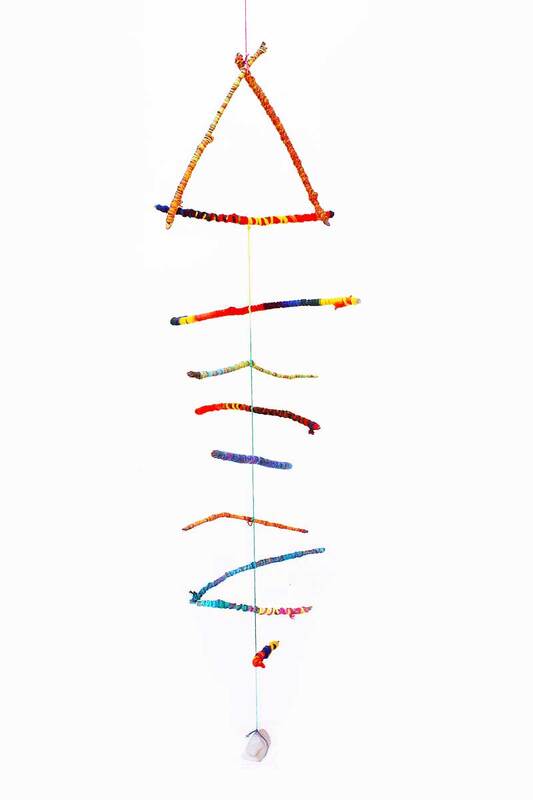 Create various shapes that you can either wrap with colorful string, paint or leave as it is and your perfectly engineered mobile is ready to hang. Candles give your home a sense of warmth and comfort. There are so many candle holders available for purchase in store, but why not get a little crafty and create one yourself using twigs! 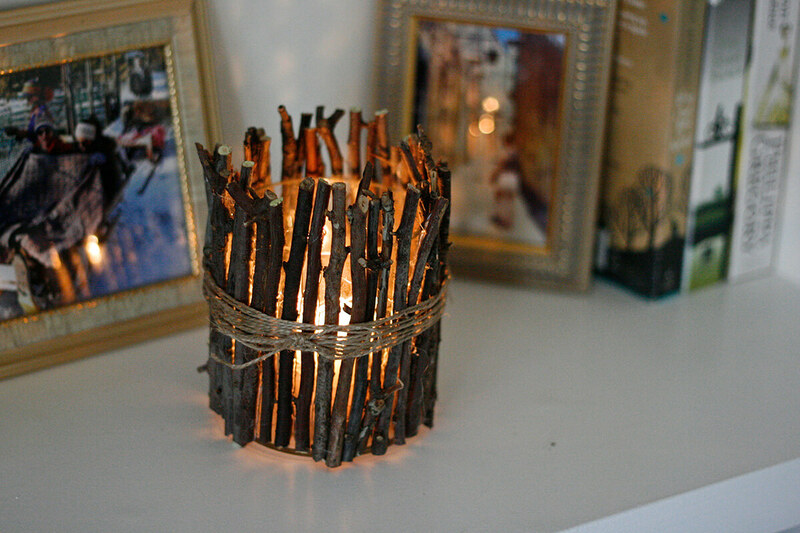 This rustic candle feature will instantly make any room of your home more warm, cozy and inviting. Utilizing the resources around you, especially when in nature is a great way to get creative and take your imagination to the next level. 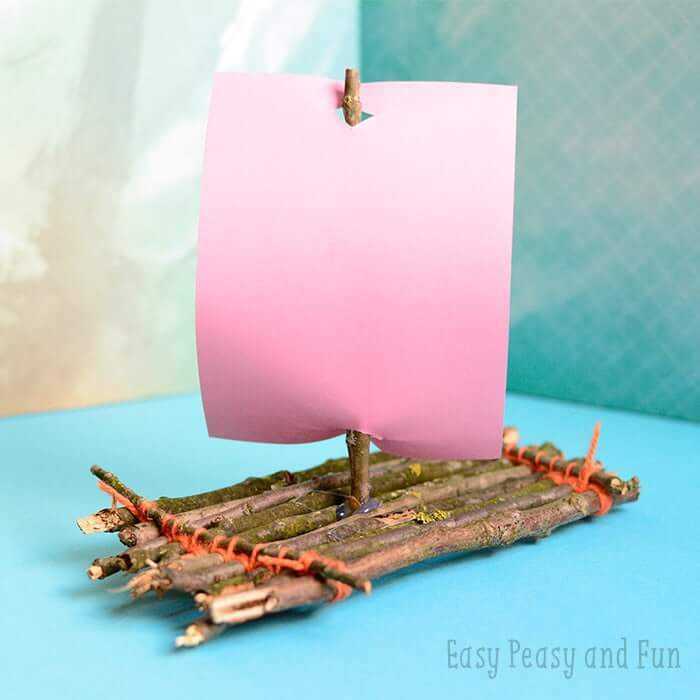 This twig boat is the perfect nature craft idea for kids. Let them pick out their own twigs while exploring outdoors and then together, build a little sailboat they can proudly put on display. Let’s face it, light fixtures can be pretty pricey. 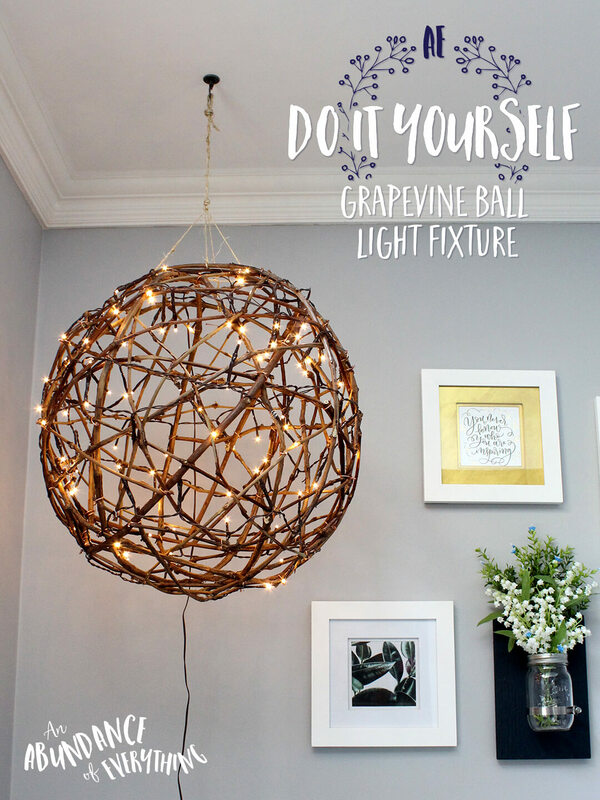 You can create a beautiful rustic light fixture yourself with a few natural materials and a little patience. It’s truly the perfect accent for any room of your home. I can see this being perfectly displayed above your bed or hung above your dining room table. Crafting with outdoor materials is a great way to keep costs down while also staying in tune with your natural surroundings. 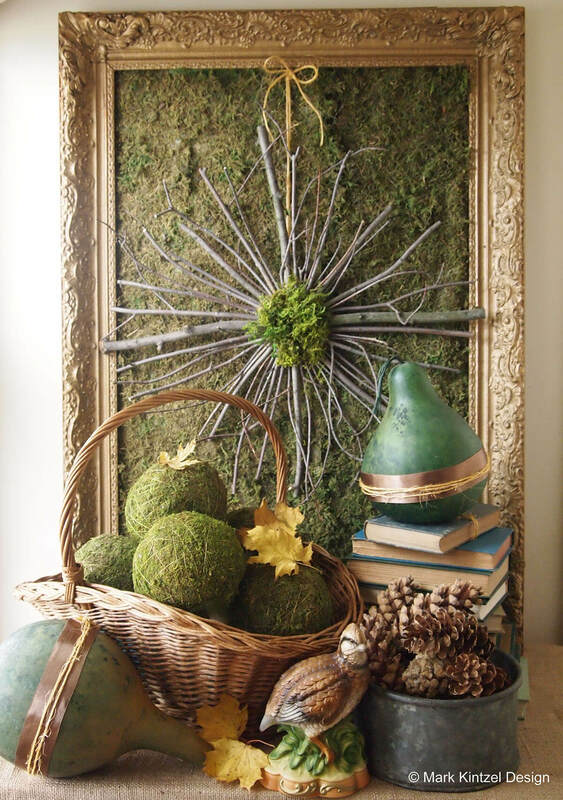 Items like sticks, leaves, rocks and pinecones are perfect for creating nature-inspired projects you can display both inside and outside of the home. 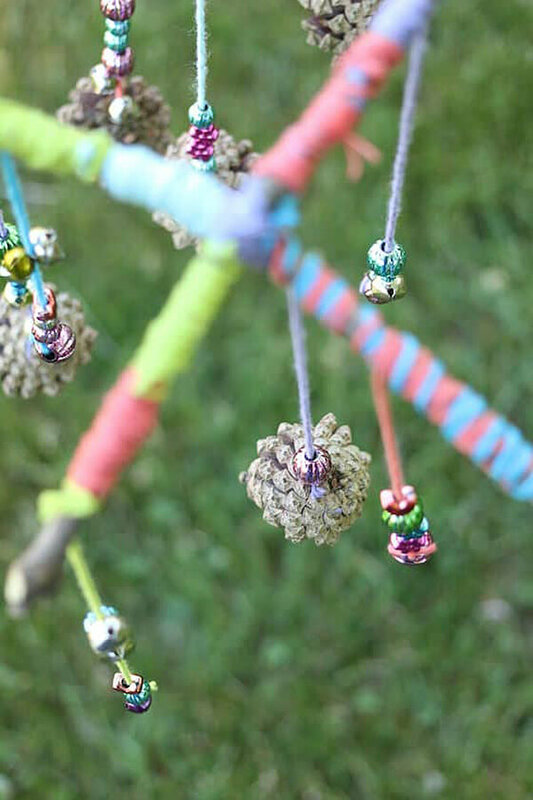 Soak in all of the beautiful treasures nature has to offer with this unique pinecone mobile. Fill your table with warm and natural décor for a charming design style. Using supplies you can find right outside your door allows you to be creative and showcase your artistic skills for all to see. Create seasonal shapes or objects such as trees and snowflakes for fall and winter or nests and wreaths for spring and summer. 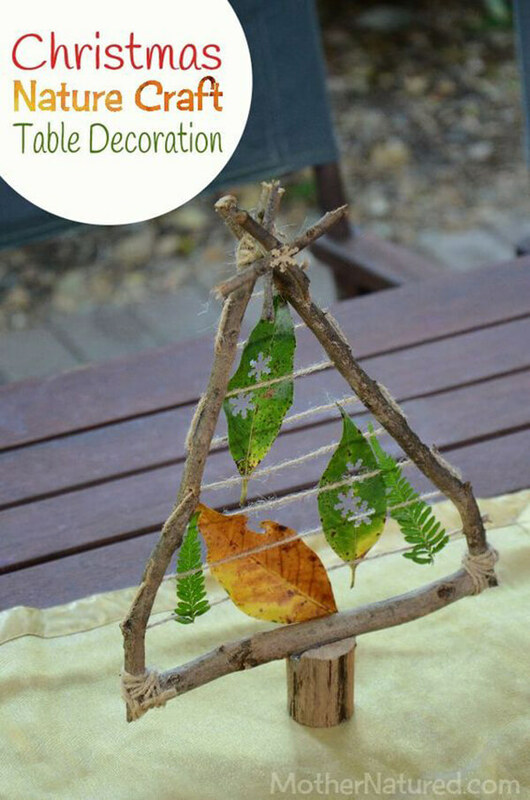 Use twigs, leaves and string to create your very own centerpieces. 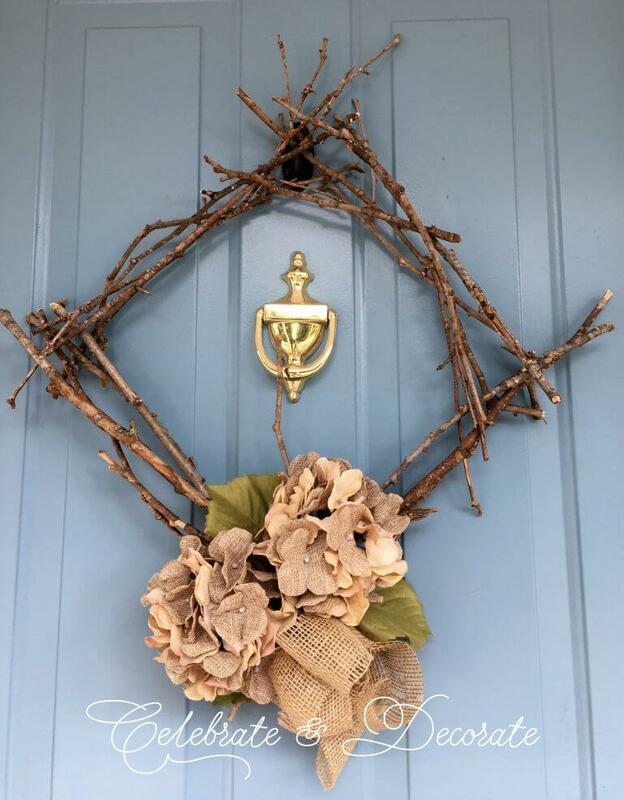 Making your own twig wreath is a project that is very inexpensive and can be completed in a very short period of time. This twig wreath is perfect for any season since you can easily add and remove decorative ribbon or embellishments for all of the upcoming holidays. Choose a place to showcase your finished masterpiece and enjoy it all year long. This stunning heart made of sticks is perfect to put on display to symbolize your family’s love for one another. Gather up some sticks and start shaping your heart to whatever size you’d like. Finish it off with some paint and set it in a focal area of your home for all to enjoy. Don’t limit your nature-inspired projects to just the inside of your home. 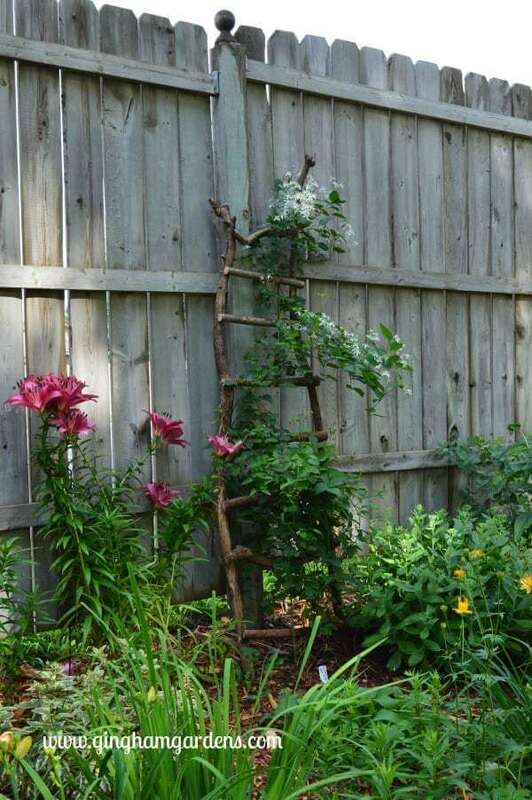 Create a beautiful wooden ladder to display right in your own garden. Paint it a fun pop of color to make a bold statement or keep it all-natural to blend in with its surroundings. You can decorate your ladder with beautiful vines or add in flowers, the possibilities are endless. 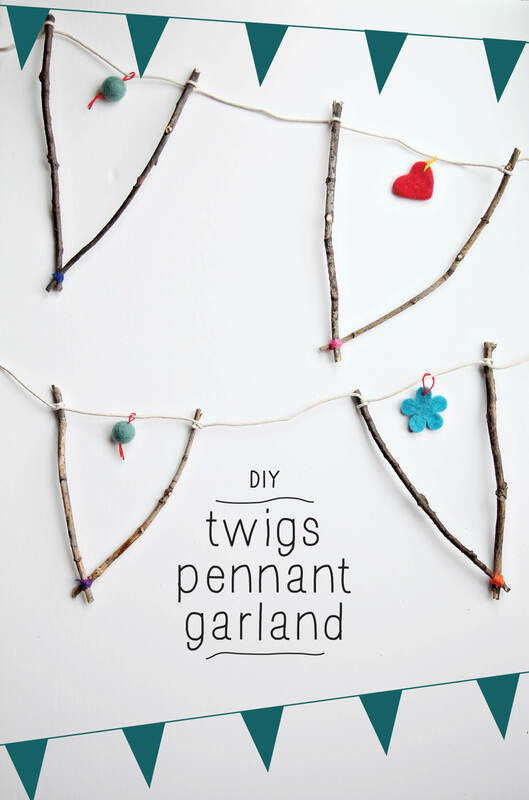 Add in those natural elements in a fun way with a creative twig pennant. Outline the pennant triangles with sticks and add in some string and other festive findings to complete your garland. This would be the perfect display at a home party or special event as well as being put on display throughout the holidays. Have old potting plants laying around? 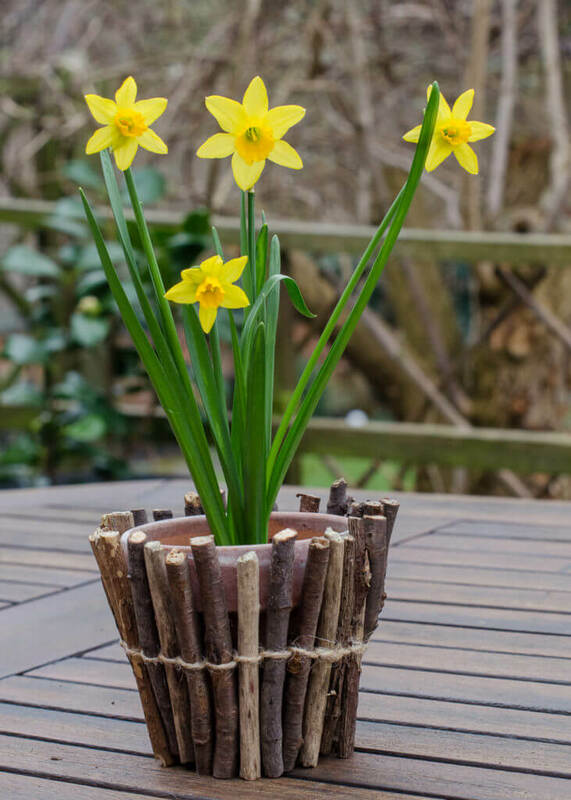 Re-purpose them by adding natural elements such as sticks and twigs to the outside of the pot for a fresh new look. It’s a creative way to showcase your beautiful flowers without spending a dime! This simple little craft would also make a lovely homemade gift.